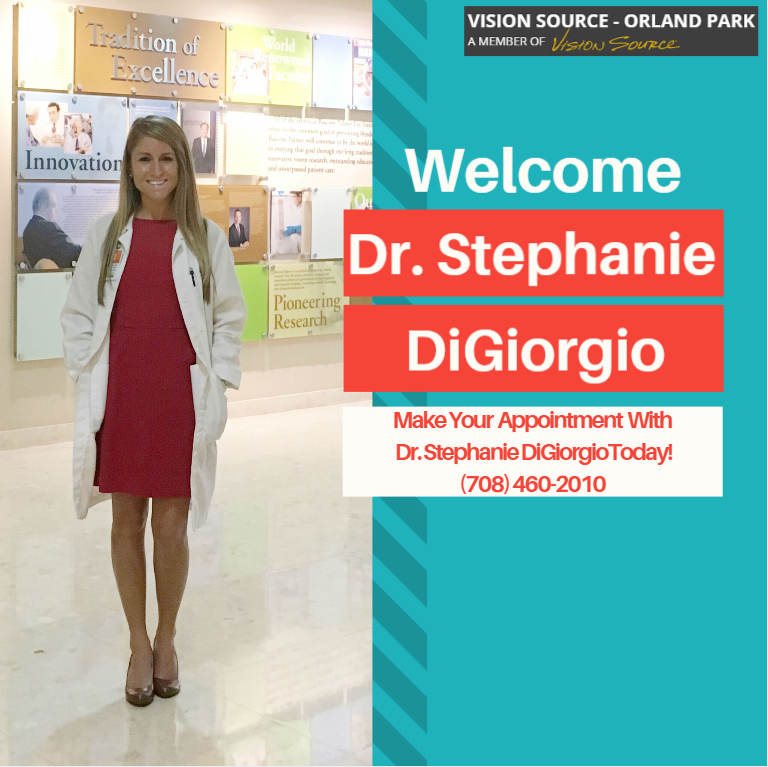 Dr. Stephanie DiGiorgio has grown up in Orland Park. She graduated from St. Michael Elementary school in 2002 and Carl Sandburg High School in 2006. She attended the University of Iowa for her undergraduate degree where she studied Health Science and also Entrepreneurial Management. She served on the leadership board for University of Iowa’s Dance Marathon, an organization that raises money and awareness for childhood cancer. Stephanie organized University of Iowa student participation in the Chicago Marathon and she completed the marathon two years in a row in an effort to raise money for the University of Iowa Dance Marathon For-The-Kids group. Pictured above after serving 6 months of advanced clinical training in Ocular Disease at the world renowned Bascom Palmer Eye Institute in Miami Florida. Bascom Palmer has been voted the #1 Eye Hospital in the USA for 12 years in a row. Stephanie has a strong interest and focus in the prevention and management of ocular diseases including Glaucoma, Age Related Macular Degeneration, Diabetic eye disease, and dry eye. She also enjoys pediatric eye care and is an advocate of the early detection of vision problems and eye disease in children to ensure a long and successful student career. She is looking forward to meeting lots of local parents and kiddos for back to school eye exams!